Operation Varsity (24 March 1945) was a joint American–British airborne operation that took place toward the end of World War II. 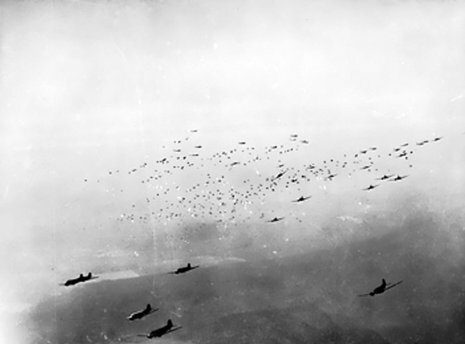 Involving more than 16,000 paratroopers and several thousand aircraft, it was the largest single airborne operation in history to be conducted on a single day and in one location. 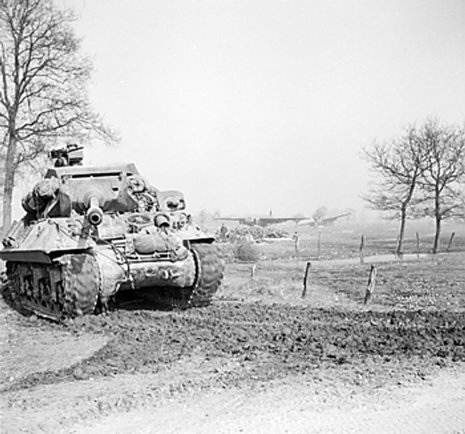 Part of Operation Plunder, the effort by the British 21st Army Group under Field Marshal Bernard Montgomery to cross the Rhine River and from there enter Northern Germany, Varsity was meant to help the 21st Army Group to secure a foothold across the Rhine River in western Germany by landing two airborne divisions on the eastern bank of the Rhine near the towns of Hamminkeln and Wesel. The plans called for dropping two airborne divisions by parachute and glider behind German lines near Wesel. Drawn from US XVIII Airborne Corps, they were instructed to capture key territory and to generally disrupt German defenses to aid the advance of Allied ground forces. The British 6th Airborne Division was ordered to capture the towns of Schnappenberg and Hamminkeln, clear part of the Diersfordter Wald (Diersfordt Forest) of German forces, and secure three bridges over the River Issel. The U.S. 17th Airborne Division was to capture the town of Diersfordt and clear the rest of the Diersfordter Wald of any remaining German forces. The two divisions would then hold the territory they had captured until relieved by advancing units of 21st Army Group, and then join in the general advance into northern Germany. The airborne forces made several mistakes, most notably when pilot error caused paratroopers from the 513th Parachute Infantry Regiment, a regiment in the US 17th Airborne Division, to miss their drop zone and land on a British drop zone instead. However, the operation was a success, with both divisions capturing Rhine bridges and securing towns that could have been used by Germany to delay the advance of the British ground forces. 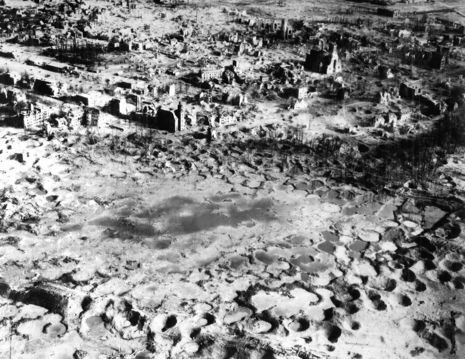 The two divisions incurred more than 2,000 casualties, but captured about 3,000 German soldiers. The operation was the last large-scale Allied airborne operation of World War II. Operation Varsity, the Allied airborne assault over the Rhine River at Wesel, Germany, on March 24, 1945, is one of those military actions whose value has sometimes been questioned. American forces had already crossed the Rhine at two locations when British Field Marshal Bernard Law Montgomery mounted his assault in the north. Some have speculated that the airborne phase of the assault may have been unnecessary for the success of the overall operation. Montgomery has been accused of using the airborne troops to ‘put on a good show’ and to further his own reputation.